Mens Hats : Serratelli Hat Company 6X Beaumont 5" Brim Black Fur Felt Cowboy Hat! 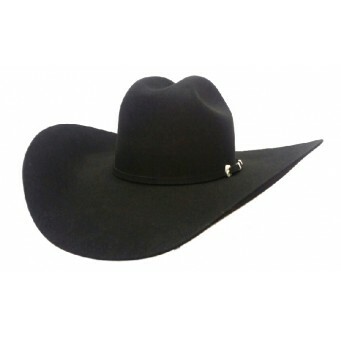 Serratelli Hat Company 6X beaumont in black with a rancher crease has a 5" brim and a 4 1/2" crown with a matching black hat band and nice silver buckle set. The serratelli Beaumont makes a great dress hat! The brim has the option to be brought up or brought down!